Aegis is an 2D platformer for PC/Mac that combines Metroidvania-style action/adventure with tower-defense inspired combat. Successfully funded via a $150k KickStarter in July 2014, we are currently hard at work developing this title. Currently in development for PlayStation 4 and PC(Steam). 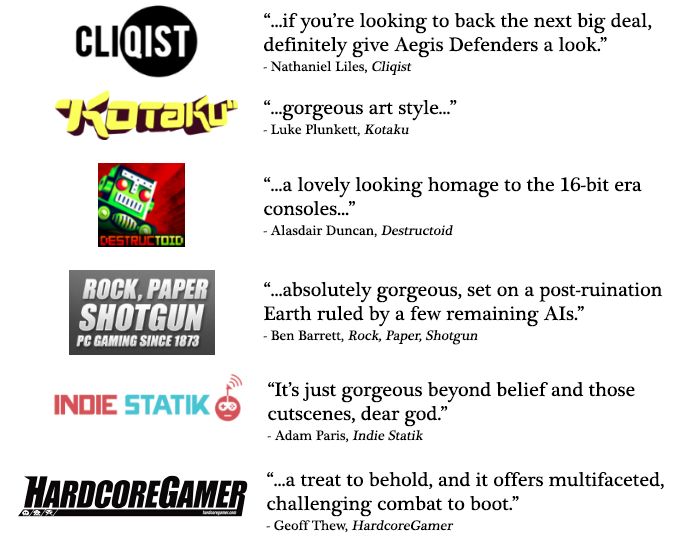 For more information on Aegis Defenders, go here.